But how many have actually gone into the details to see what actually happened? In brief, it was a combined effort of intra-party rivals, a biased Governor, a hit-job Lokayukta, Congress, JDS, bureaucrats, a few legally strong individuals, and media that tried to dislodge south India’s first BJP Chief Minister. It is an open secret in Karnataka, the names of many people who wanted him to fail. I would not get into most names as that is not the purpose of this writeup. I can’t claim that BSY was crystal clean. We don’t know. In fact, it’s hard to claim anyone in politics as crystal clean. Also, what’s clear is that he was targetted from every angle possible to paint him as the most corrupt. He was targetted with 100 times more intensity and avenues than any other Chief Minister of India, barring Narendra Modi. And he was made to succumb. Once you read the entire details below, particularly, the excerpts from the High Court Lawyer-Judge interaction, you will know how much BSY was wronged. By the way, as of early January 2014, he has not been convicted in any case, unlike Lalu Prasad Yadav of UPA or Binayak Sen of AAP/NAC. So bringing out some questions that helps people understand more on BSY. 1) Was BSY indicted by Lokayukta report on illegal mining in Karnataka? No. That’s the most misinterpreted point. Lokayukta (Ombudsman) Santosh Hegde’s report had only two mentions of Yeddyurappa, as ‘father of’ with his sons names mentioned in a educational trust donation. There was no proof that as a CM, BSY did any favour to Jindal Group of Companies that supposedly paid the bribe. Yeddyurappa did not own any mining company or operated any mining business. The ones like Reddy brothers of the BJP, Lad brothers of the Congress and DK Shivakumar of Congress were actually in the mining business, and now facing various probes. Santosh Lad, a Minister in the Congress Government in 2013, had to resign owing to documents showing his mining misdeads. In fact, what most don’t tell is that it was BSY himself who asked the Lokayukta to probe even his Chief Minister period, when the earlier probe was asked only for prior CMs periods. 2) Then why did Yeddyurappa go to jail? Yeddyurappa went to jail for a few days, when Governor Bharadwaj gave permission for prosecution based on a private complaint (of Sirajin Basha), totally unrelated to Lokayukta report. It was highly unusual for a Governor to give prosecution permission based on a private complaint on land denotification. For instance, the neighbouring Tamil Nadu Governor did not give to Subramanian Swamy’s private complaint against Karunanidhi around the same time, for a different case. Also, Tamil Nadu and many other States have no Lokayukta kind of parallel police/court system at all. As of 2008, Karnataka had the most powerful Lokayukta police and court system in India. So, corruption news or probes were very highly reported from Karnataka due to availabilty of this parallel police system to any citizen who wanted to complain, which was not possible in most other States. Also, Yeddyurappa was arrested because he could not secure anticipatory bail in time, and not because of any conviction. After the arrest, a complaint was filed against the person who had filed private complaint against BSY. After that there’s hardly any news about those mysterious activists. They disappeared from papers and TV screens. I wonder why! Were they just temporary tools to get BSY dethroned? 3) What’s the latest finding on Hegde’s report? It’s shocking that based on December 28, 2013 Kannada Prabha‘s front page report, Lokayukta Hegde got it all wrong when it comes to blaming Yeddyurappa for bribe from Jindal Group. The report submitted on July 27, 2011 by Justice Hegde, a chapter blamed Yeddyurappa of renewing mining permission of South West Mining Company (Jindal Group). In return, per Hegde, SWMC paid Rs 10 crore donation to Yeddyurappa’s sons run Prerana education trust. Hegde linked these two as quid pro quo and blamed Yeddyurappa of indulging in illegal mining. As per this Kannada Prabha front page report, the permission renewal was done when HD Kumaraswamy of JDS was the Chief Minister of Karnataka! The title reads: Was Lokayukta’s mistake responsible for Yeddyurappa’s resignation? 4) Was Yeddyurappa the first Chief Minister of Karnataka to help the State control illegal mining? Yes: On December 29, 2013, front page of Kannada Prabha carried details of how BSY brought in Karnataka Minerals Policy in 2008, and how it was approved by Governor Bharadwaj on December 16, 2008. In brief, that was the first major attempt in Karnataka to stop illegal mining which was rampant for years, or might be decades! 5) Did Lokayukta Hegde’s much publicised report stand any scrutiny in the High Court? You can access the full Karnataka High Court judgement quashing Santosh Hegde’s report based FIR against BSY here. Yeddyurappa filed a petition with Karnataka High Court under Articles 226 and 227 of Constitution of India to quash Lokayukta FIR. Justice Bhaktavatsala asked Lokayukta to quash relevant portion of the report from 27.7.2011, chapter 22, (page 4). Page 7 of HC Judgement cites, Government order from March 15, 2003 de-reserving 11620 sqkm of State land for mining. SM Krishna of Congress was the CM! Page 8 talks about SM Krishna, “Distribution of public assets to select private individuals without regard to their profession, technology or business background”. Same page also states, “The entire exercise was undertaken in a manner so as to benefit only a select few individuals/entities”. Page 13 of HC Judgement: Lokayukta submitted irregularity report against Dharam Singh, another Chief Minister from the Congress. But was not accepted by the Governor of Karnataka at that time. Page 13 of HC Judgement slams that the Lokayukta didn’t give any opportunity to Yeddyurappa for explanation, unlike Dharam Singh, the earlier Congress Chief Minister. It says that the Lokayukta in his Press conference said report was leaked, but contents were true. He held BSY guilty even before report was submitted officially to the Government, which was his duty. Lawyer Ashok Harnahalli then pleaded for BSY stating that the Lokayukta erred in recommending criminal proceedings on ground of suspicion. This is the interesting part. Page 16 of the HC Judgement shows the lawyer saying – “Lokayukta erred in coming to the conclusion that Yeddyurappa has committed the alleged offences. 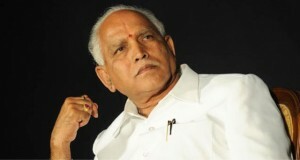 The Governor also erred in not giving Yeddyurappa an opportunity of hearing, before sanction of criminal proceedings. UV Singh (Lokayukta staff) recorded his observations are not conclusive on ground. Glaring contradictions existed in the report”. Page 17 shows, the lawyer, “Santosh Hegde did not even refer to UV Singh’s observations before initiating criminal proceedings”. Page 20 of HC Judgement: Lawyer – “Registration of FIR (against BSY) by Lokayukta Police for offence under section 7, 8, 9 and 13 were illegal”. Page 21, Lawyer, “Lokayukta registered two cases (Sirajin Basha land deal plus mining) FIR for the alleged crime. Impermissable by law!.” Then in pages 21-29, Ashok Harnahalli makes splendid case againt Santosh Hegde of violating Yeddyurappa natural justice! Gives superb examples. Then comes the stunning judgement: Page 36-37: “Whether Lokayukta’s report chapter 22 is within the scope set by Government?”. The Judge observes: “In the negative”! Judge continues: Pages 43-44 of HC Judgement: “Reputation of a man is a very precious thing. No person should be deprived of such Right to Reputation”. Page 51 of the Judgement: “Suspicion cannot be a ground to tarnish image and reputation of a person who is holding a Constitutional post”! Page 52 of HC Judgement, “Hegde’s contention that he didn’t ask BSY to vacate office, so no hearing was granted, does not hold water”. Page 53, “In a nutshell, there is no material placed on record to establish that BSY has shown any official flavour to mining comp”! Page 53 of HC Judgement, “Mining leases to citied companies were granted in Sep 2007, when BS Yeddyurappa was NOT a Chief Minister” (HD Kumaraswamy was Chief Minister). In page 54, Judges, “We view that Yeddyurappa was condemned unheard. This is flagrant violation of principle of natural justice. This was as damning as any Court can slam a former Justice of Supreme Court. And it happened to Santosh Hegde! But majority of the people don’t know about the details, and still hold BSY guilty and Hegde – a hero. 6) Even if BSY is cleared of Lokayukta’s report related FIR, he still has other cases. Why did BJP let him in? Simple reason: Everyone is innocent until proven guilty in a court of law. In reality, the BJP as a party took moral high ground and asked him to resign from the Chief Ministerial position. Unlike the Congress that kept Sheila Dikshit on Chief Ministerial chair inspite of a clear indictment by Delhi’s Lokayukta, BJP played fair. Also, BSY left the party on his own. BJP did not ask him to leave the party. He is now back on his own. He has stated that seeing Narendra Modi as the Prime Minister is his ambitition and hence, he is coming back to the BJP without any conditions. He will just be a party member and will not hold Constitutional position. If he has other private complaints, he has to clear them himself. Unlike many tainted Ministers in States and at the Centre, who have serious Constitutional authority indictions, BSY has not been convicted in any case. Karnataka’s Chief Minister Siddaramaiah last week infamously uttered. The cases against the new Congress Ministers DK Shiva Kumar and Roshan Baig are “just private complaints”. In fact, he was the same one who kept speaking all around the State against BSY going to jail, which was also for a temporary period due to private complaint! Even the latest ‘clean’ Chief Minister of Delhi, Arvind Kejriwal of AAP, has numerous IPC sections listed in his affidavit, including some related to assaulting public servants, armed with deadly weapon and rioting. Still no one asks him to resign or calls him ‘tainted’. Double standards at play. There is nothing like a good IPC case or bad. If one has criminal case, he/she has to clear. Applies to all parties equally. 7) If BSY was not guilty, why did media not report the junking of Justice Hegde’s biased report? That’s the tragedy in India. When blaming someone, like Kanchi Shankaracharya, media goes 24X7 mode for years. But when they get cleared, it’s very meek reporting or sometimes total silence. The same way, Indian media declared Yeddyurappa guilty and corrupt in the Kangaroo Courts, but barely reported that he won his appeal in the High Court and also Supreme Court on other matters. 8) Why did media treat Santosh Hegde as hero? No one knows. In fact, Santosh Hegde has his own shares of serious charges. Not only that, his much publicised mining report was trashed at High Court, against which he never appealed or produced evidences, there was an FIR filed against him by a DIGP of Karnataka, IPS Hemanth Nimbalkar. This never became a big news. Media houses downplayed or totally censored that Justice Santosh Hegde was slammed with FIR for IPC Sec 166, 167, 211, 109, 114, 117 and 66A. Another IPS officer in Karnataka, IPS Madhukar Shetty, accused Hegde of running Lokayukta organisation like a mafia. But media never even interviewed Nimbalkar or Shetty to expose the other side of Hegde. The last we know, Madhukar went out of India! Media also did not report that Santosh Hegde’s family-run educational trust gave an advertising featuring JSW company, the same JSW linked to BSY! Lastly about Hegde, he never explained how without the knowledge of CMs, YS Rajasekhara Reddy of the Congress in Andhra Pradesh, Karunanidhi of DMK in Tamil Nadu, Digambar Kamat of Congress in Goa, illegal ore from Karnataka were exported from ports in these States? He only listed the quantity of ore being exported from ports in these States. If 1000s of trucks with illegal ores passed through the Congress or the DMK ruled State roads, to ports in these States, how come none were stopped and seized? All were UPA States at that time. Worse, with majority of the illegal ore being exported using rails, how come no Railway Minister of UPA or official was probed? Hegde never talked about why Manmohan Singh was reluctant to ban mining export from Mangalore port in Karnataka, that was under UPA’s control. And, the much publicised Belekeri port (Karnataka) illegal ore export had a member of Sharad Pawar’s family from Maharashtra being probed. Hegde never talked about it. The more you go through the details, it was clear that his only target was BSY. He skipped talking about other Karnataka Chief Ministers with similar charges like Dharam Singh, HD Kumaraswamy or SM Krishna. And he did the job well! 9) Was Yeddyurappa wrongly painted as super corrupt by Indian media? Absolutely yes. In fact, on January 9, 2014, a very well known enterntainment business person in Karnataka, Phani Ramachandra has written an op-ed. He slammed how Lokayukta could leak the report, how he could conduct Press conference to confirm that the Congress Chief Minister SM Krishna’s name was not there, how politicians and media houses could blemish the name of BSY who had 40 years of public life struggle, how media houses that increased TRP blaming BSY hid the news that he was cleared, how even Governer Bharadwaj is now saying that compared to the Congress Government BSY was far better, and most importantly, don’t other politicians family-run educational trusts that get grants or donations? 10) Finally, what else should be said about BSY case? This is a classic case of a ganging up effort of everyone who didn’t like BSY, to remove him from a Constitutional post, without due process of law. BSY did wonderful development in the State. Unlike the current Congress Government, his schemes like bicyles for school girls, pension for senior citizens, money for girl child and others, were not based on caste or religion. On the infrastructure side, dozens of modern TTMCs for buses, fly overs, under passes, thousands of new buses, new roads, a transport system running in profit, a brand new metro train, are some to name. The global investors meet and the support to industries were clearly positive. BSY was one of the best CMs of Karnataka in recent times, when it comes to development of people and economy. Yeddyurappa’s mining ban was even accepted by Pranab Mukherjee of UPA via a ratification of the 1957 Export Act on October 22, 2010. It is not that illegal mining did not happen at all under BSY’s CM period. But out of 307 lakh MT iron ore illegally exported from Karnataka since 2003, 66 per cent was done before the BJP rule. Those governing Karnataka then were SM Krishna and Dharam Singh of the Congress, HD Kumaraswamy of JDS and President’s Rule (which means Manmohan Singh and Sonia Gandhi having some control). Between 1997 and 2008, the Congress and the JDS Governments caused Rs 917.31 crore loss in the JSW mining deal. BSY generated Rs 400 crore profit for Karnataka State’s exchequer. But everyone ignored his good achievements. The three controversial mining licenses – JSW (188.28 hectare), Vijayanagar (181 hectare) and South-West (181 hectare) were suggested on September 21, 2007 by JDS CM HD Kumaraswamy. But everyone made BSY a scape goat! And the worst part was that there was no mention in any report of what favour Yeddyurappa supposedly did to Jindal Group for Rs 10 crore donation to Prerana trust. Isn’t wild guesswork shameful? And, the rebel saga he saw while he was CM, were precisely due to him trying to stop illegal mining, which had helped politicians from most parties till date. I hope there is enough information to know what really happened in BSY’s case. Hope such witch hunting will not happen to any other Chief Minister or people holding Constitutional positions, ever again. If he is found guilty in future for any case, that’s different. He should be punished then. But the declaration of ‘guilty’ for him in the media and political circles so far, is unfortuante and a blemish to India’s democracy.